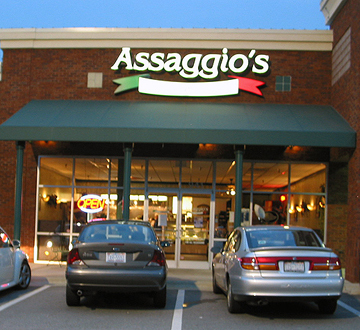 Assaggio's Fuquay is owned and operated by Tom and Amy McGrath. Tom has worked in the restaurant field since high school and this is the first one that he has owned. Tom and Amy opened Assaggio's in July 2004. Tom says, "It has been a wonderful first year and we look forward to the next 20 or more!" When Tom was asked "Why did you decide to open an Italian restaurant? ", he replied (with a big smile), "I LIKE PIZZA!" Tom and Amy have chosen the staff at Assaggio's very carefully, just as they do the top quality ingredients that go into every dish that is made! They invite you to stop by to say Hello, enjoy the family and "kid-friendly" atmosphere, the food, and the fun!